In the first part of a 2-part interview, Vaibhav Tamrakar of Plancessjee.com spoke about effective marketing strategies adopted by the company and the relative effectiveness of various channels vis-à-vis search engine marketing. He reiterates the importance of creating great content and delivering a high-quality user experience to attract and retain visitors. Vaibhav provides some insights into how critical the mobile traffic will be as well as some do’s and don’ts for online marketers looking to scale up their traffic acquisition. What impact has the frequent “flux” with organic search traffic (SEO traffic) had on your traffic? How do you keep your website immune to the vagaries of Google algorithm updates? 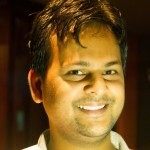 [Vaibhav Tamrakar]: Google updates have hardly had any negative impact on our website over time. We think this is due to all the original content that we’ve developed. All content uploaded on our website is written in-house in a manner that it maximises user satisfaction. Complex and scattered info-materials are decoded and presented in a manner that is easy to understand by our target audience. Plancess website is quoted often by several third-party vendors and affiliates due to the authentic and genuine information it provides. In fact, Plancess was the eLearning website listed by the top career portals on the day of JEE Main 2015 for providing answer keys, text/video solutions and paper analysis. How important is mobile traffic to you now (and going forward)? [VT]: Nearly 45% of our website traffic is via mobile and tablet devices- thats close to 10000 visitors on a daily basis! We expect mobile traffic to go further up as we recognize this global trend. So, we have made PlancessJEE.com mobile-compatible / responsive- easy to read and interact on any screen-size and interface. To enhance the user experience to the fullest, not only have we optimized our website for mobile devices, we also look into the browser and technology being used. Based on a deep understanding of our users and their usage patterns including operating systems, screen resolutions and several other variables, we have identified the exact pain points of users when using our website. We use this understanding to prioritize fixes and enhancements that can help users get the most from the website. Please describe in more detail how you analyse user behaviour. [VT]: We do this with A/B testing or multi-variate testing (MVT) using various tools. We look at heat map analysis and in-page analytics to give a leading indicator of what changes would work best. We implement the “challenger-champion” approach. Any new development is first introduced as a challenger to a certain section of the audience- and if the value addition to business as well as user experience via the challenger is more than our champion, only then we make the necessary changes through out. This way, the bulk of our traffic is always having the best experience out there. Looking ahead, what is your mobile strategy going forward? the best intellectual experience, rather than having a mobile app without top-notch content. In this regard, we’re building a module based eLearning approach via an Android/iOS application, and an assessment platform to complement the user learning. Further, we’ve identified some really amazing indicators of tracking user behaviour on this mobile app – which is not only customized for the right technology, but will also serve as a personal dashboard. It will provide a completely unique experience for every individual using the app and help them derive genuine value out of the product. We’re going to launch these within the next few months. What advice would you give to start-ups in relation to quickly scaling up traffic acquisition? [VT]: Digital marketing is not as easy as it seems to be- and it is not because of the tools that it is based on, but because of whom the marketing is subjected to. At Plancess, we believe that our users are not only intelligent and motivated, but also extremely dynamic. They can judge right from wrong- and are increasingly connected. Best quality content and user experience are critical. A happy customer is worth a lot more in today’s world. I would suggest the following do’s and don’ts for marketers trying to scale up traffic acquisition. a. Engage in Black-hat marketing – be it with SEO or making false-claims, etc. What are the major challenges you face currently in relation to your online marketing efforts? – Reaching newer audiences/ geographies: bulk of our website traffic is from tier 1/tier 2 cities but we really need to penetrate the interiors of the country to become a household name for students preparing for JEE. – Online merchandising – many of our users still don’t have access to online banking and hence depend on parents. Hence a lot of sales have to be closed offline (COD) as against completing the transaction online. How do you see online marketing evolve in the next couple of years? [VT]: With growing Internet penetration, online marketing will undoubtedly provide the vital interface for firms to their target customers. Also, the growth in mobile phone usage enables easier reach to users. From a user perspective, access to information will become much easier and convenient. Users will be more informed, mobile and self-aware. From a marketing perspective, it is the time for customer centricity overshadowing product centricity. In the eLearning realm, with most academic resources being available online, education is going to become a hot space with companies fighting for large ‘traffic-share’ instead of just having a strong ‘market-share’. Recognising this, we are betting on providing the best content rather than the best technology – because in the long run, the value that users derive from our product will be the key differentiator critical to our success.